A novel way of promoting sunglasses. Hair-dressing the Kotor, Montenegro, way. A ballet dancer falling to his death. A chaotic corner of Dubrovnik, Croatia. 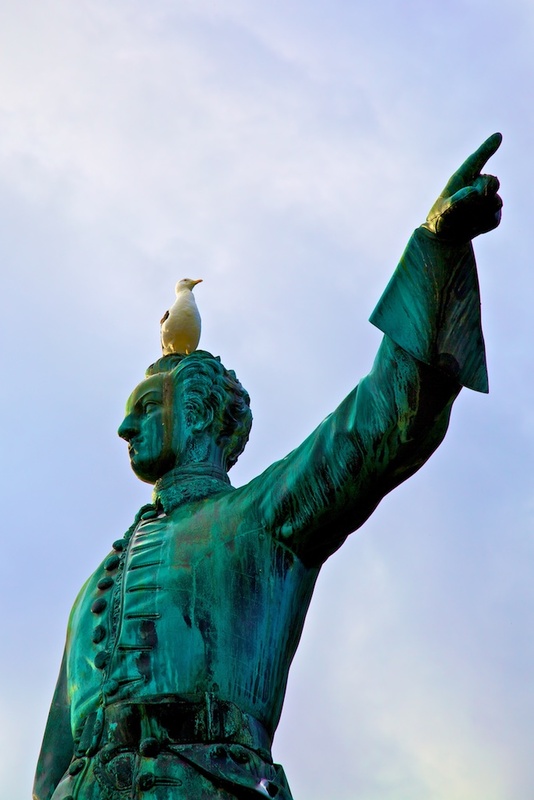 A sea gull's opinion of the bellicose king Charles XII. Stockholm, Sweden. The Thien Hau Pagoda, Ho Chi Minh City, Viet Nam. The puzzle is how the girl will connect with her handbag. Paris, France. Contemplating Mexico's new flag: dollars, cocaine and blood. The precise moment when a yet unidentified city suffers a nuclear bomb attack.